Westminster Teak Armchairs are known worldwide for lifelong durability in all weather conditions and for the high end refinement that accompanies it. Precision engineered from Eco-friendly, Grade A teak wood to ensure a lifetime of use in the harshest conditions. Each piece is finely sanded to a very smooth, irresistible finish. Suitable for indoor, outdoor, residential, commercial and marine use. 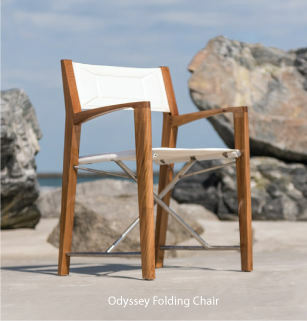 All Weather Indoor and Outdoor made from Teak Wood, Textilene, and All Weather Synthetic Wicker.